SPEED, SHARPNESS, PERFORMANCE, VERSATILITY Built to meet the rigorous demands of professional photographers, the HD PENTAX-D FA 24-70mm F2.8 ED SDM WR is sure to become your go to lens! It’s designed to deliver speed, sharpness and performance, while producing a beautiful soft bokeh (defocus) effect on the background throughout the entire focal range. Providing a constant aperture of F2.8 over the entire zoom range, this fast versatile zoom lens greatly reduces the need for a tripod when photographing subjects in less-than-ideal lighting conditions. By incorporating three ED (Extra-low Dispersion) optical elements and four aspherical optical elements, it assures sufficient light levels even at the edges of the image field and compensates various aberrations to a minimum to deliver well-depicted, fine-detailed images, rich in contrast and resolution. 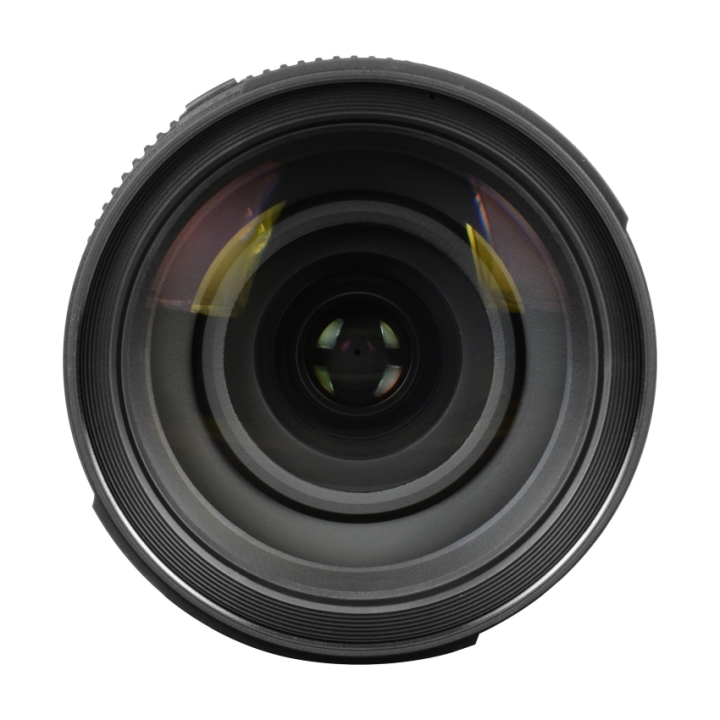 The built-in SDM (Supersonic Direct-drive Motor) provides quiet, high-speed autofocus operation. Built to meet the rigorous demands of professional photographers, the HD PENTAX-D FA 24-70mm f/2.8ED SDM WR is sure to become your go to lens! 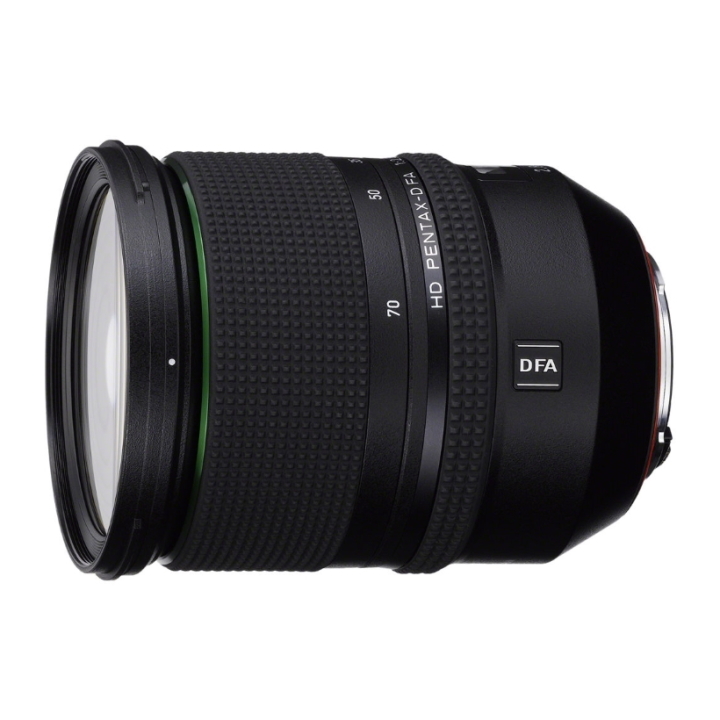 It’s designed to deliver speed, sharpness and performance, while producing a beautiful soft bokeh (defocus) effect on the background throughout the entire focal range. Providing a constant aperture of f/2.8 over the entire zoom range, this fast versatile zoom lens greatly reduces the need for a tripod when photographing subjects in less-than-ideal lighting conditions, such as sunsets and indoor scenes. By incorporating three ED (Extra-low Dispersion) optical elements and four aspherical optical elements, it assures sufficient light levels even at the edges of the image field and compensates various aberrations to a minimum to deliver well-depicted, fine-detailed images, rich in contrast and resolution. 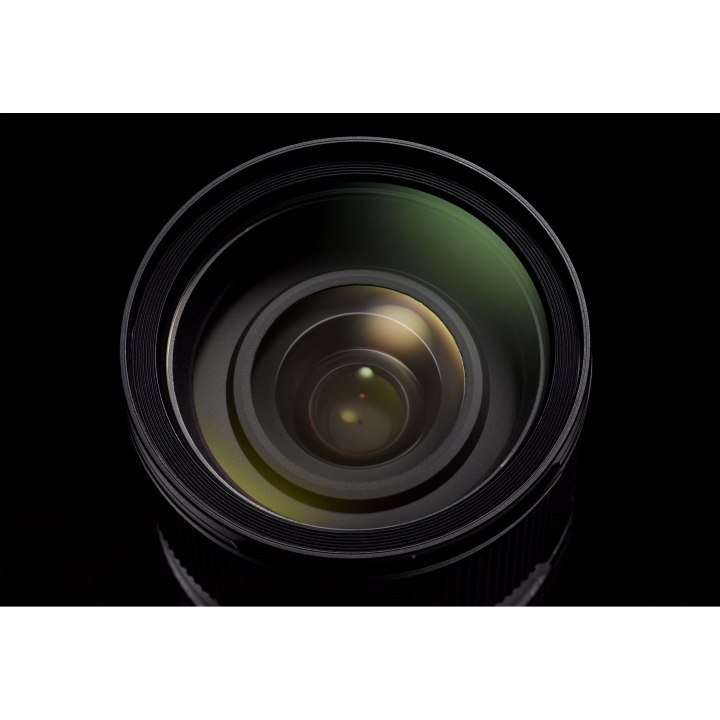 The built-in SDM (Supersonic Direct-drive Motor) provides quiet, high-speed autofocus operation. 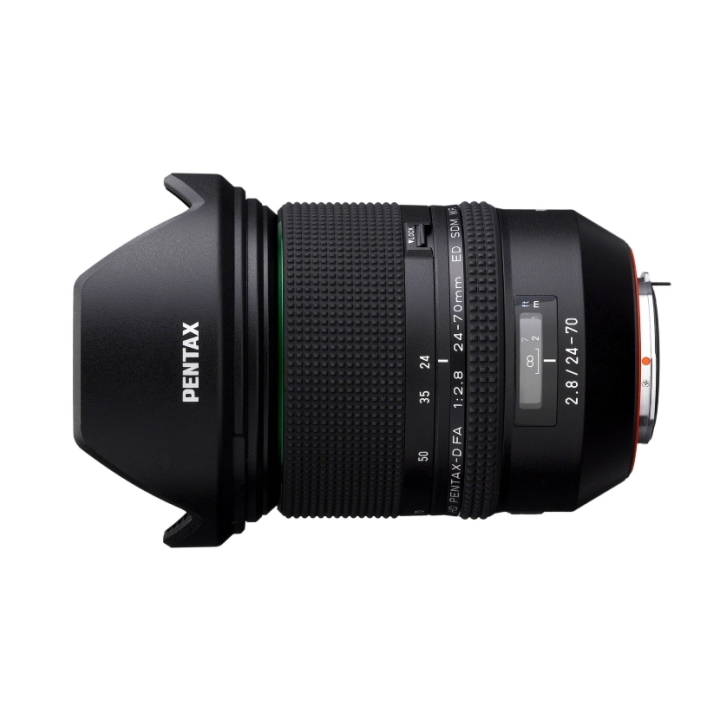 The HD PENTAX-D FA 24-70mmF2.8ED SDM WR covers a versatile focal length range from 24mm to 70mm on a 35mm format sensor and 37mm to 107mm when mounted on the current PENTAX K-series APS-C camera bodies. 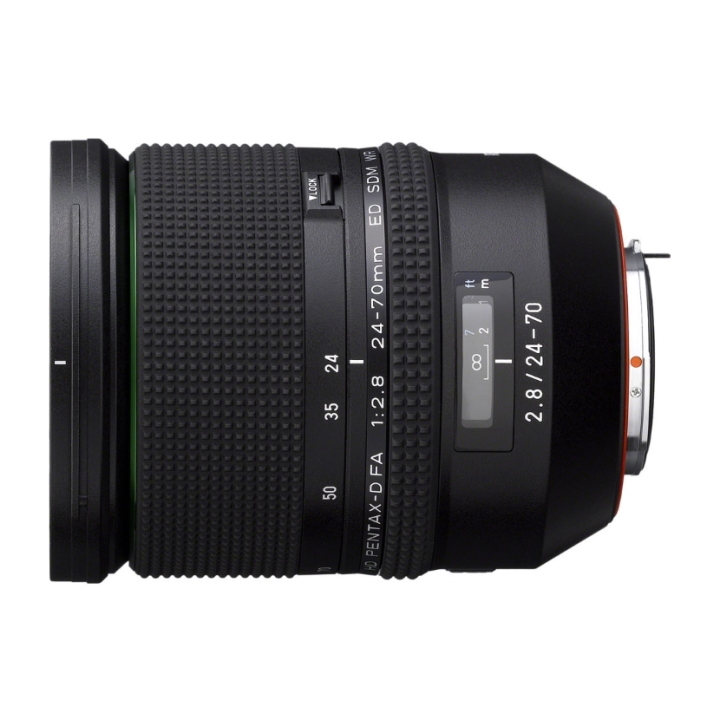 The large F2.8 constant aperture makes this lens ideal for wide variety photographic opportunities such as; wedding, portraiture, sports, nature, landscape, studio, field and low-light photography.